Mentor and guide Jessica McGregor Johnson is a highly qualified coach who has helped all sorts of people find the right way forward in their personal and professional lives over the last 14 years. 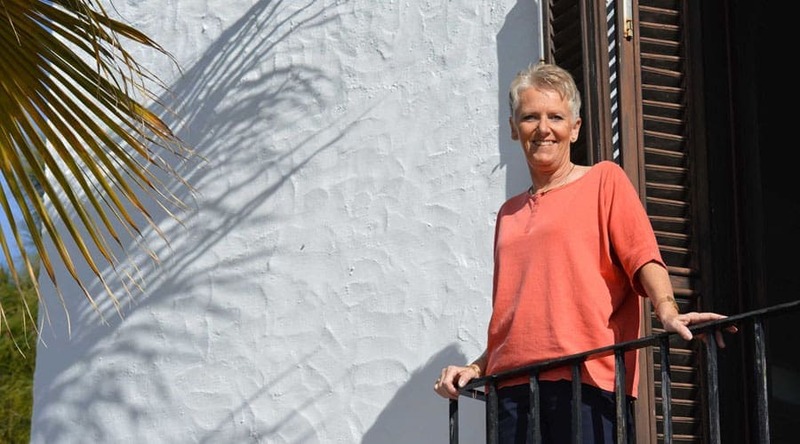 Based in Spain, she’s grounded, light of heart and easy to be with, and particularly good at helping you access a truer path in any given situation. 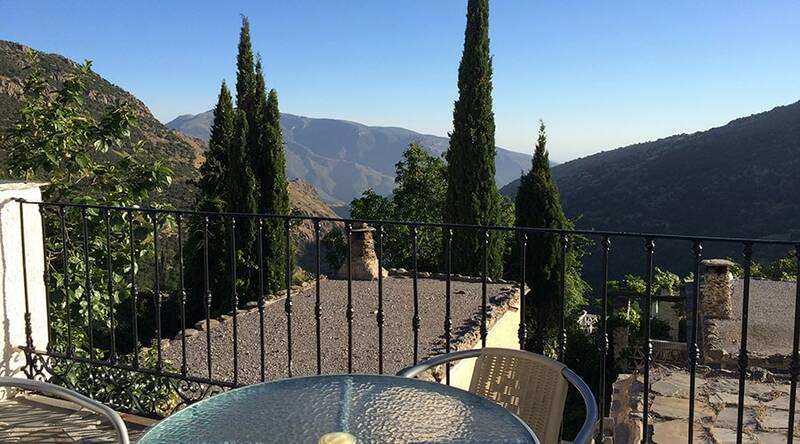 Her private 3-night Get Unstuck In Two Days individual retreats take place at Casa Ana, a glorious, boutique guesthouse in the white washed village of Ferreirola in the Alpujarras, or at one of the beautiful traditional houses nearby. Jessica has a fun, almost child-like, playfulness to her that keeps the energy light rather than heavy. She helps you see your world from a new perspective and gain powerful insights, and she’s especially brilliant at giving practical help – such as how to manage your diary, find staff to do stuff you don’t want to do or work out how to handle tricky situations. The highlight of these retreats is that there are no set dates – they can be arranged at a time to suit both you and Jessica. 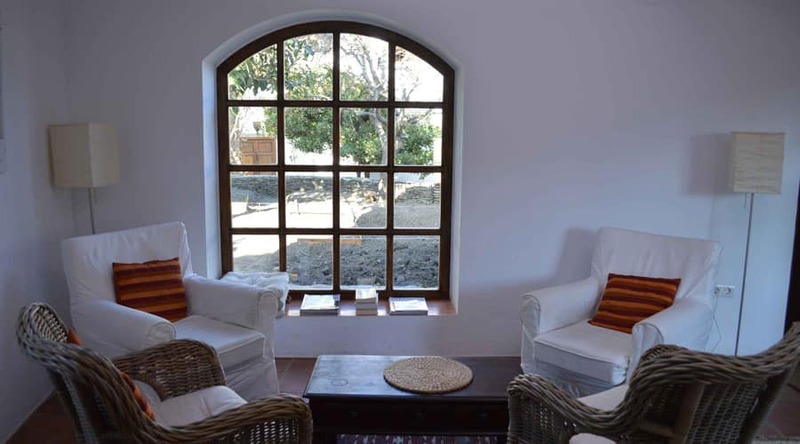 If you are at Casa Ana on a private retreat, you’ll share the space with other B&B guests. Jessica ensures that you always have private spaces to talk and reflect in though, so it never feels like a big issue. Before attending a retreat you’ll have a ‘familiarity’ session with Jessica to check that she can help you and that you can connect. You’ll then arrange a mutually convenient time for your retreat, and afterwards will have a follow up session to ensure you are on the right track. The retreats feature two full days of coaching, and they’re deliberately very intense. Each day begins with a grounding meditation led by Jessica on the terrace if the weather is fine, or in your room if not, which Jessica can lead if you’ve never meditated before. 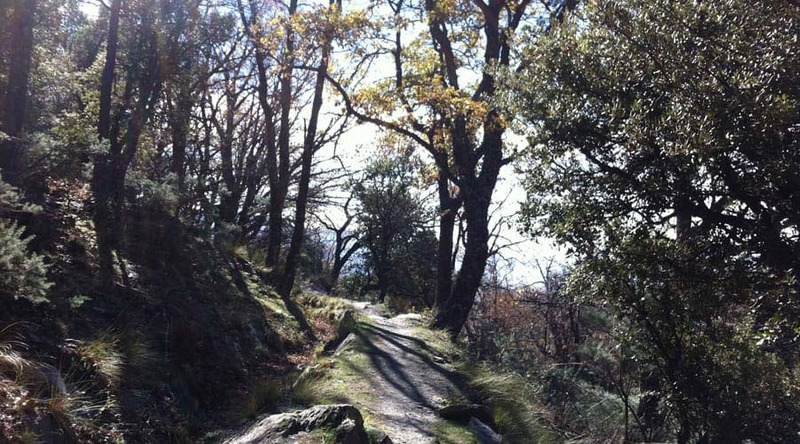 Then there’s a four hour coaching session in the morning, followed by a few hours of downtime to digest what has gone on, which can be spent walking the local mule paths or just relaxing – these gaps are deliberately built in by Jessica to enable her clients to ‘get out of their heads’. A shorter follow up session takes place before supper every evening. As it is just the two of you, Jessica can vary the times according to your mood and energy levels. During her daily sessions with you Jessica dips in and out of an impressive tool kit of techniques she has developed over the years to help you brainstorm ideas, get clarity on your points of confusion and work out a practical way forward. Many of the ah-ha’s come through the conversations you’ll have with her and she might do a ‘values test’, so you can get clarity on what your life values are and which of those you might not currently be honouring. 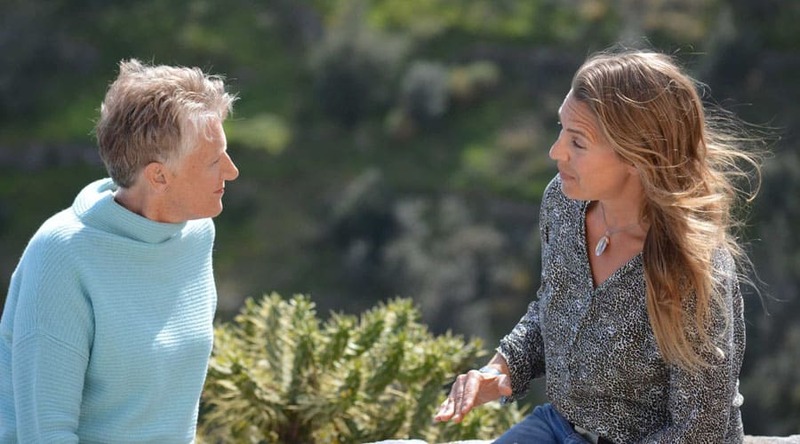 She might also use The Passion Test, a method for finding your passions and purpose in life devised by Janet Bray Attwood and Chris Attwood which we found particularly funny, clever and revelatory on our retreat with Jessica. Or Jessica will draw on the The Work of Byron Katie, a form of meditation designed to raise your awareness of your thought processes in any situation. The retreats are open to everyone, of any age and from all walks of life, but tend to attract professional men and women with a personal or professional issue they want to deal with. Although Jessica tends to work with the bigger issues in life, such as whether to leave your job or relationship, or checking you’re on the right path in life, within that you might need help deciding something detailed, such as what to say at a business talk, or how to handle certain people in your life. Nothing is excluded and she asks you set an intention before your arrival so she can ensure that together you cover everything. You’ll have one massage with a good local therapist included on the first evening – more can be booked in advance. 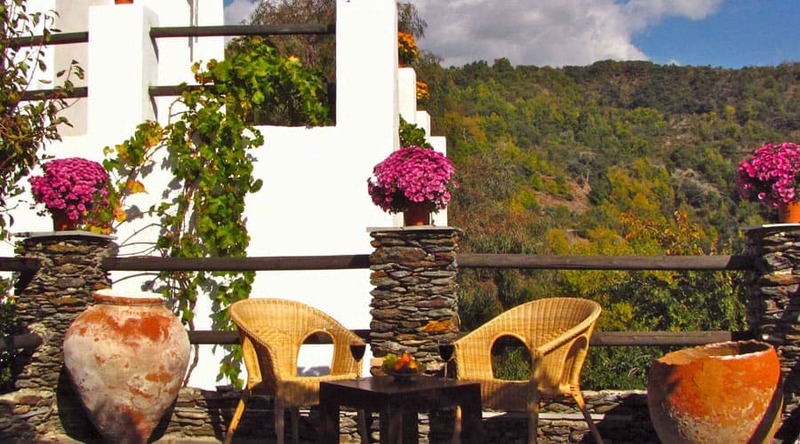 During your retreat you’ll also visit one of the famous Alpujarra white villages and have the opportunity to buy local crafts and foods. Just a couple of minutes from the house are small meadows terracing the hillsides, and an era – a magical medieval threshing circle – ideal places to sit for quiet meditation and calm thinking, drawing or painting, or doing nothing at all. 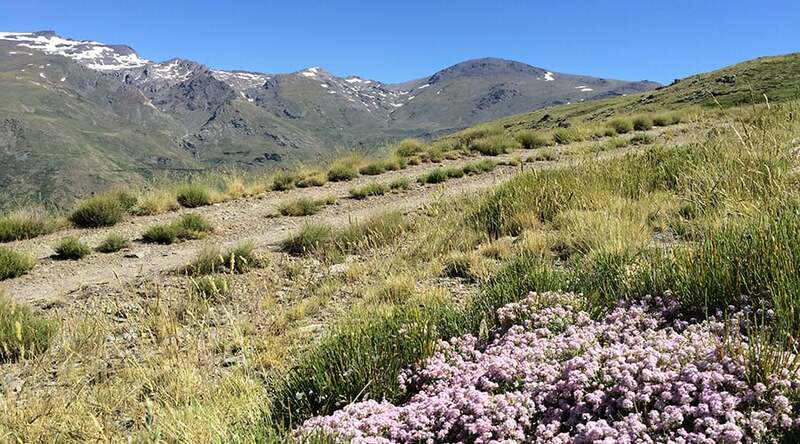 Walking solo is a super way to digest everything during this retreat, and from the B&B you can walk out on rocky, Moorish tracks through the mountains and enjoy plenty of flowers, fig orchards and mulberry trees. Natural springs pepper the tracks where you can fill your water bottles. Some walks take you along the Trevelez river valley, others up and over the ridge from where you can enjoy spectacular views of the Sierra Nevada’s snow-capped peaks. 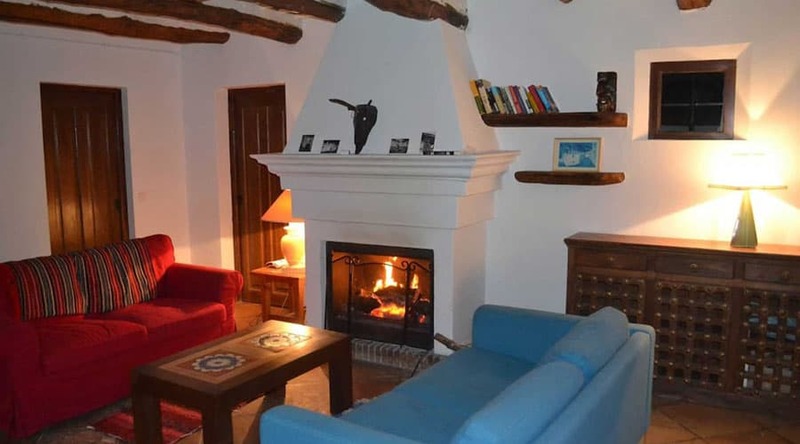 Guesthouses: On the odd occasion that Casa Ana is not free on the dates that you want, Jessica books a lovely traditional white house in a nearby village for your sole use. 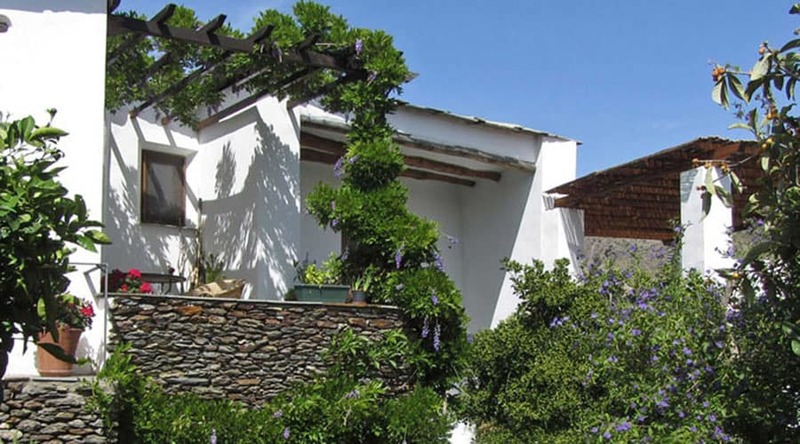 Retreats are usually held at Casa Ana, a delectably converted, 400 year old guesthouse with just 12 ensuite rooms arranged around a flower-filled garden courtyard in the gorgeous white-washed village of Ferreirola. Casa Ana bedrooms: Bedrooms are all chicly simple and comfortable, with white washed walls, simple dark wood furniture, chestnut wood-beamed ceilings and hand-made terracotta tiles and white rugs on the floors. Locally hand-blended, natural soap is available in the bathrooms too. Each has a view, of the valley or the courtyard garden. The best is a large double room, with French doors leading directly onto the garden and stunning views of the mountains beyond. 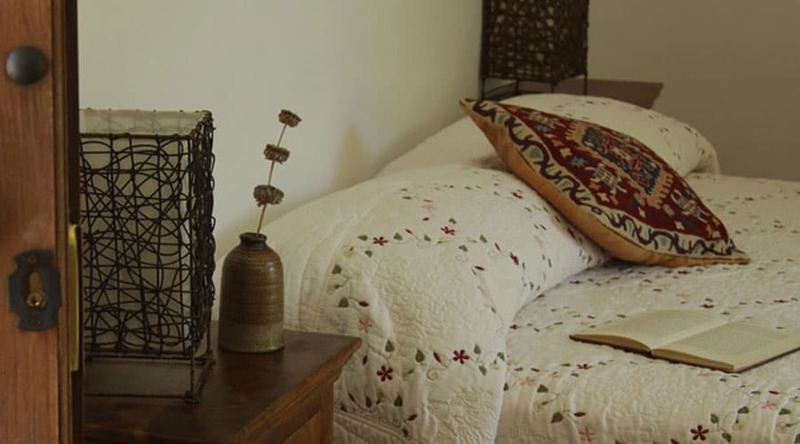 It is spacious and comfortably furnished with a big bed, armchair and small writing desk. The bathroom is a wet room, with marble-white stucco walls, rain shower and big mirror. It is decorated with handmade tiles in patterns inspired by the Moorish designs of the Alhambra palace. Don’t bring posh clothes – it is all very casual, even in the restaurants. Leave your computer behind and let everyone know that you will be out of contact (except any emergencies) for the duration. Be ready to step away from your world for a while and focus on you. The retreats are available all year round. Spring and autumn suit those who prefer it less hot, summer is good if you love the heat and in the winter you can spend your days toasting your feet with a log fire. The area does get busier with walkers in spring, but never enough to take away from it’s quiet and contemplative atmosphere. 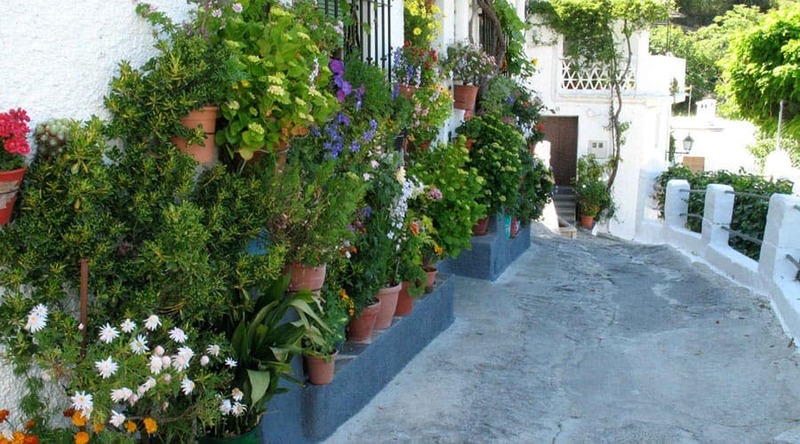 The terraces: The feeling of groundedness you get in the quiet village of Ferreirola continues as you walk through the small door to Casa Ana, for it is set around a pretty, flower-filled courtyard with a tier of various terraces on which you can sit and admire the inspiring, unspoilt view across the Alpujarra mountains. Coaching takes place on one of the terraces in warm weather or in a spacious light sitting room on cooler days. The house: Casa Ana is a 400-year-old house that was once an important family home with a wine press, olive oil store, barn and stables. It retains original features including the chestnut beamed ceilings, quirky chimneys typical of the region and Moorish-style flat roofs. Guests have shared access to a spacious, light sitting room with an open fire, armchairs and a small kitchen with a fridge and kettle so you can make your own hot drinks. There’s underfloor heating, so it’s toasty in the winter months too. During your retreat at Casa Ana you’ll eat home-cooked, highly tasty meals using locally sourced produce. Meals are eaten in a simple, attractive, dark wooden-floored dining room which has a little terrace looking over the mountains. 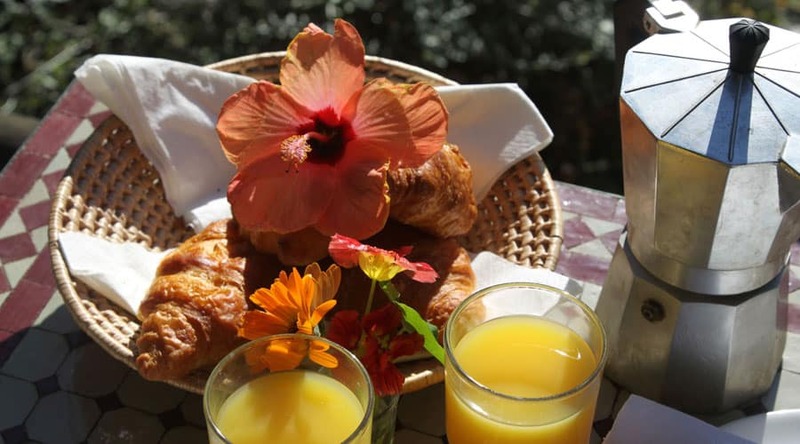 Breakfast starts with an amazing-tasting fresh juice made from the local oranges, followed by fresh fruit, cereals, eggs and lunches are hearty homemade soups, salads and tortillas. In the evening Jessica takes you out to eat at one of the local restaurants – there’s a simple bistro in the village, or you’ll drive to neighbouring white-washed villages for dinners in lively Spanish squares. You can drink or not drink alcohol – it’s up to you. All the meals are included in the price of the retreat. The area of the high Alpjujarras is a National Park, where natural flora and fauna are taken care of and all new buildings are required to use traditional building materials and styles. Casa Ana employs local people to help support the the local economy. Jessica offers two pro bono places to local people in Spain who can’t afford to work with her but who need a helping head. 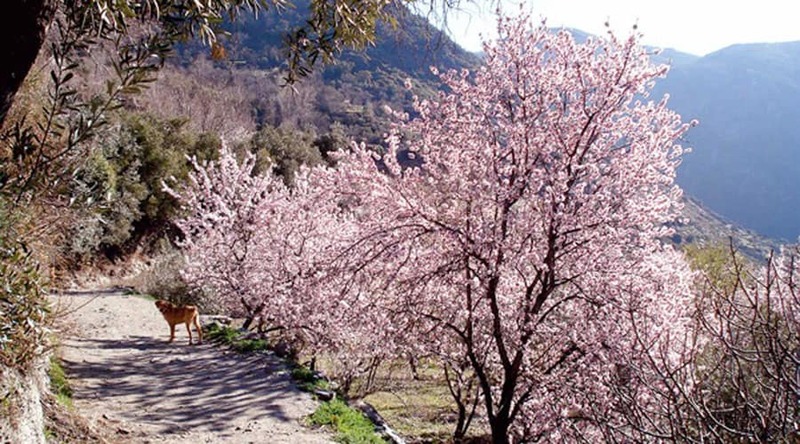 Transfer Time: 2.5 hours by road from Malaga or 1.5 hours from Granada. Thanks K – glad you had such a good time – and that you managed to continue with what we discussed once you were home. I really enjoyed your retreat A, we covered so much and you were just flying by the time you left. Been great to see your progress too. It was a great retreat A, I loved seeing how you suddenly shed all the stuff that was holding you back and got just how great the future could be. And boy are you going for it! I spent a snow bound two days on retreat with Jessica during which she helped me understand my values and needs, some of them not so surprising, others a realisation. More importantly she helped me sift through recurring, backwards and forwards thoughts about my future, and I’ve come away knowing that I do indeed have some realistic do-able options, not just vague “if onlys”. On a personal level, I found Jessica incredibly easy to talk to and I’ll remember our two days in the snowy mountains with fondness. It felt very special sitting by the fire with you and you gaining the clarity you needed about what was possible, I really enjoyed our time together.